Hundreds of Turkish lessons, podcasts, and voice recognition exercises. Free access to all 100+ podcasts. 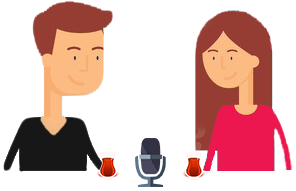 Grab some tea and join over 150,000 people who have learned Turkish with our podcast. Subscribe to support us and get access to a Turkish textbook's worth of instruction, examples, audio, exercises, and downloads. The best way to learn Turkish is to speak Turkish. Practice what you've learned with more than 200 speech recognition exercises. Pleasantly bite-sized, our exercises let you focus on exactly what you need by actually speaking Turkish. Try it for free. We started Turkish Tea Time because we love the Turkish language. Our approach and explanations come from the experiences of Turkish teachers, Turkish linguists, and Turkish students that live in Turkey. I can't tell how much I love you. You're great, fun, so cute. You make me smile all along the whole lesson. You've helped me alooooot with my Turkish. Great work, great everything - thank you very much. I went up to Lesson 100 and came back to Lesson 1 for a review before moving on. I am amazed to realise how much more I understand now than the first time. All thanks to you, I have never been to Turkey, and do nothing but your lessons with a dictionary and a grammar book in my company. This is a fantastic program! You guys do a wonderful job at teaching and make it really fun! Thanks for the course! I feel I learn 10 times faster now than with books and other courses. I have spread the link to my colleagues. Merhaba! I just wanted to thank you for this awesome site! I've been taking Turkish lessons for several months, but I had to stop because I'm too busy with college. I've been looking for something quick and efficient to continue my learning, and I must say that your website is by far the most fun, and practical one I've found. Çok teşekkür ederim! Merhaba! Lovely courses! I love them. 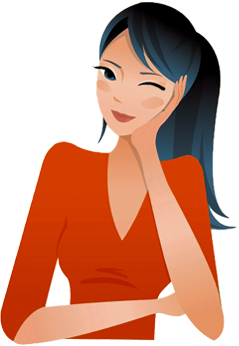 I have tried many, many courses online and yours is the best.